JT HOT SHOT TRUCKING OFFERS HOT SHOT TRUCKING SERVICE WITH THEIR HOT SHOT TRUCKS & HOT SHOT TRAILERS IN BC, ALBERTA, SK, MB & THE TERRITORIES! JT HOT SHOT TRUCKING OFFERS Professional, Courteous, Experienced Drivers with years of experience! JT HOT SHOT TRUCKING OFFERS HOT SHOT TRUCKS which are Diesel, Standard. 4 Wheel Drive and carry Chains giving us the ability to deliver where others cannot, even in Winter! JT HOT SHOT TRUCKING OFFERS Hot Shot Trucks & Trailers are Inspected yearly & Commercially Insured!! JT HOT SHOT TRUCKING OFFERS Hot Shot Trucks Equipped with Class 5 Receiver Hitches for Large Heavy Trailers! 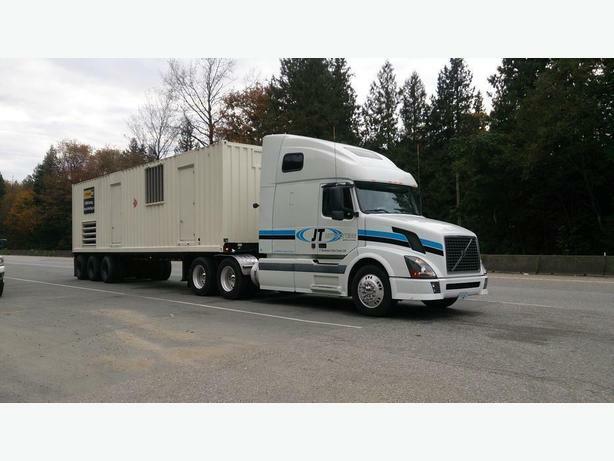 JT HOT SHOT TRUCKING OFFERS Hot Shot Trucks which are Insured with correct GVW weights to include your equipment, cargo, trailer, boat or boat & trailer. JT HOT SHOT TRUCKING OFFERS Delivery to Road Construction Sites, Logging Camps, Mines, Oilfield or Anywhere in between!! JT Hotshotting Delivers 24/7/365 Anywhere, Anytime & on Time! Farm Equipment & Supplies Hauled! Boats Hauled & Transported Your trailer or Ours! RV's, Campers, Mobile Home Trailers, Horse Trailers & Trailers of all kinds! Long hauls, Short Trips, 1 way trips as well as return trips! We will pickup and deliver your cargo when no one else is available! We are available every weekend to serve your needs! We are a Limited Corporation With Business License & Location! We Carry Cargo & Liability Insurance for your protection! Transportation & Hauling is our Business, Not a Sideline! Serving Western & Northern Canada!